1) OD: 2 7/8", 3 1/2", 4", 4 1/2", 5" 5-1/2"
5) We can provide in many conditions, with or without hard banding (Arnco100, Arnco300, tungsten carbide etc). 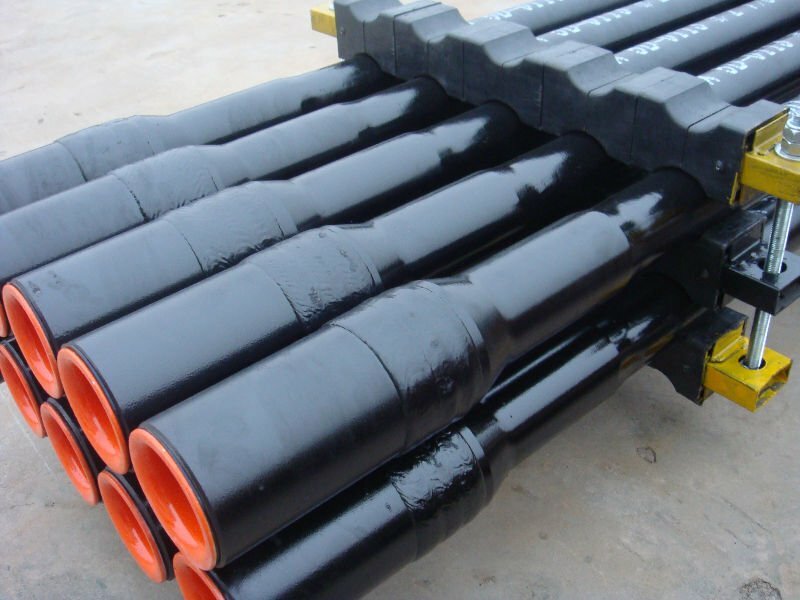 • All the drill pipe produced In accordance with API 5DP. which is used to put torque to drill bit and drill collar. The Pipe Body in conformance in API. 5DP with serious inspection in Plant. Tool Joints are made of AISI 4137H premium alloy steel fully Q&T with IPSEN furnace. All tool joints should be inspected by fluorescence magnetic particle and ultrasonic method.